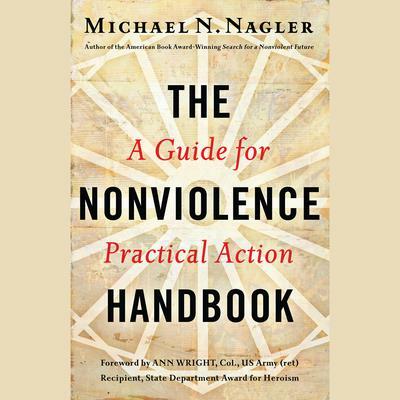 By Michael N Nagler , Ph.D.
“Nonviolence is not the recourse of the weak but actually calls for an uncommon kind of strength; it is not a refraining from something but the engaging of a positive force,” renowned peace activist Michael Nagler writes. Here he offers a step-by-step guide to creatively using nonviolence to confront any problem and to build change movements capable of restructuring the very bedrock of society. Nagler identifies some specific tactical mistakes made by unsuccessful nonviolent actions such as the Tiananmen Square demonstrations and the Occupy protests and includes stories of successful nonviolent resistance from around the world, including an example from Nazi Germany. And he shows that nonviolence is more than a tactic—it is a way of living that will enrich every area of our lives. Author Michael N Nagler , Ph.D.
Narrator Michael N Nagler , Ph.D.